Have you been accused of counterfeiting money, documents or goods? If convicted of counterfeiting money, you may face a Federal prison sentence of up to 15 years as well as a large monetary fine. When the U.S. was still a fledgling country, counterfeiting was a crime punishable by death. As is the case with many white collar crimes, counterfeiting is often a federal offense and will be investigated and prosecuted by federal agencies. These federal agencies have more resources than most state law enforcement organizations. In addition, the sentencing guidelines for federal offenses show no leniency to defendants as they face trial. Today, although the penalties for counterfeiting are much less extreme than in revolutionary times, the government is still taking steps toward avoiding the possibility of counterfeit money to be created, by changing and improving the quality of bills. And you may still face harsh penalties if you are caught creating fake currency. Under federal statute 18 USC section 471, if you're found guilty of making copies in the likeness and similitude of US currency, you may face up to 15 years in federal prison. Authorities will also seize any property used to create the bills. This means your personal computer, printer and scanner may also be confiscated. You may also have to pay restitution and probably a number of fines, too. Regardless of the specific counterfeiting charges that you face, you will need an attorney who can protect your rights and help you get the best outcome possible for your case. You will need an attorney who will fight to defend your future. At the Law Offices of Whittel & Melton, we understand the difference a skilled criminal defense attorney can have on the outcome of a criminal case. Our criminal defense attorneys and staff are dedicated to providing clients with a superior criminal defense by utilizing discovery and on-staff investigators at our disposal to build an effective strategy for your particular case. We have offices throughout the state of Florida, including Boca Raton, and offer potential clients a free initial case evaluation to discuss how we may be able to help you with your counterfeiting case. 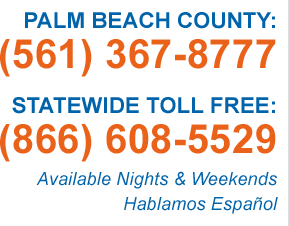 Local: (561) 367-8777 or statewide, toll free: (866) 608-5529. Our experienced Florida Criminal Defense Attorneys are ready to consult, defend and vindicate clients charged with federal crimes throughout Palm Beach County, including: Boca Raton, Boynton Beach, Delray Beach, Juno Beach, Jupiter, Lake Worth, Riviera Beach, Palm Beach, Palm Beach Gardens, Royal Palm Beach and West Palm Beach.